The climate over The Great Belt is warmer, dryer and more sunny than in the rest of Denmark. The reason for this is that the prevailing western winds blowing over Denmark gives off a great deal of their precipitation over the hights in Mid Jutland. In the dry and warm climate around The Great Belt some species of plants with a southern or south-eastern distribution in Europe can be found. 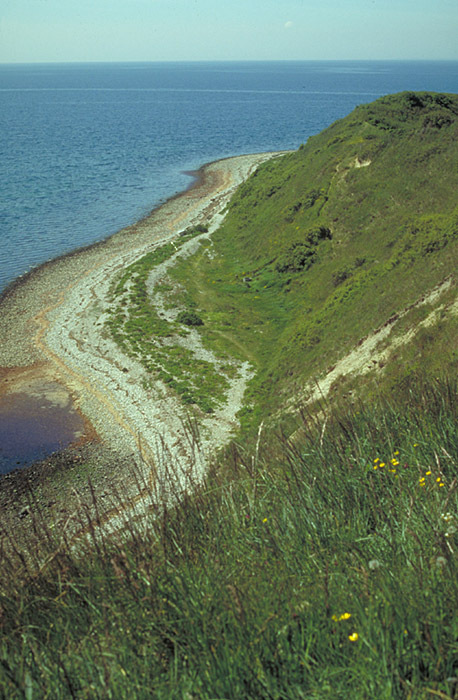 The picture is showing the steep slopes along the coast of Samsø - the largest island in The Great Belt.